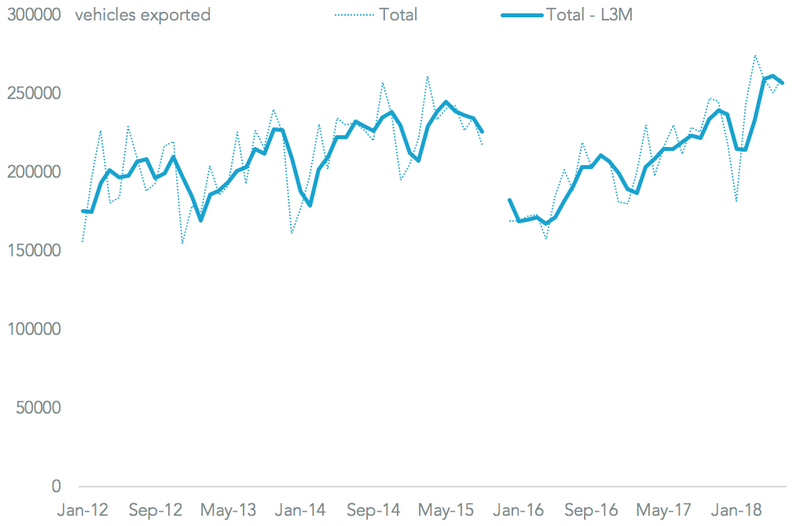 Mexican automotive exports surged 13.4% higher in June, Panjiva analysis of AMIA data shows, making the 20th straight month of growth and bringing the second quarter to a 19.6% improvement. 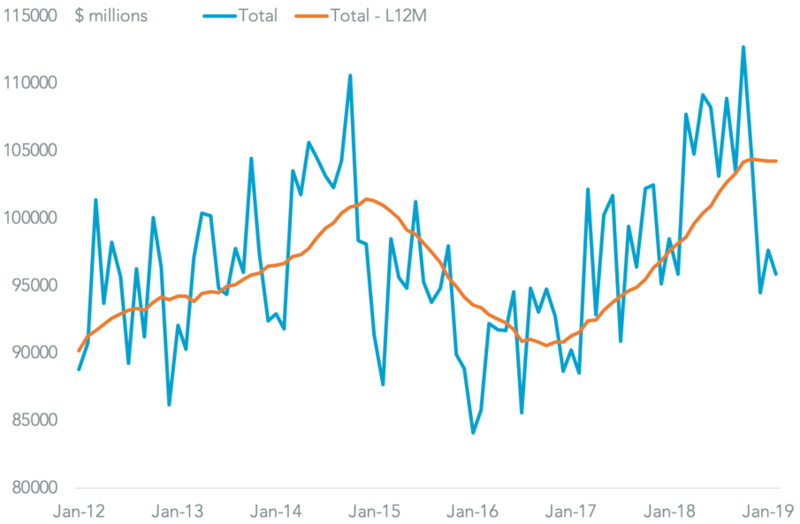 That’s been supported in part by strong demand in the U.S. market where sales of imported vehicles climbed 12.9% on a year earlier, as outlined in Panjiva research of July 2. That’s been driven by a 22.9% surge in exports by General Motors, likely reflecting success for its light trucks including the Silverado, Sierra and Terrain models, capping a 50.5% improvement for the quarter. 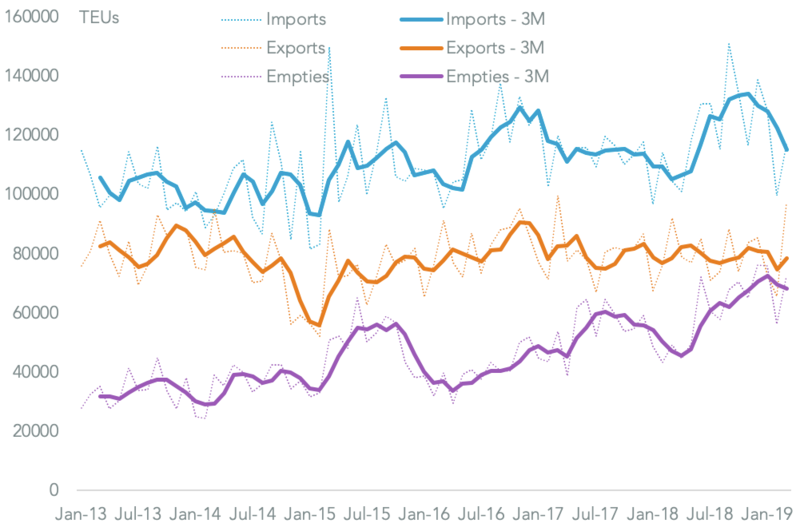 A doubling of exports by Mazda and 26.9% rise in shipments by Toyota were the next largest and suggests the slowdown seen in Japanese exports seen in May could have continued. Ford’s 15.4% reduction likely reflects the start of its shift to take small car production to China rather than Mexico ahead of an increase in electric vehicle output. 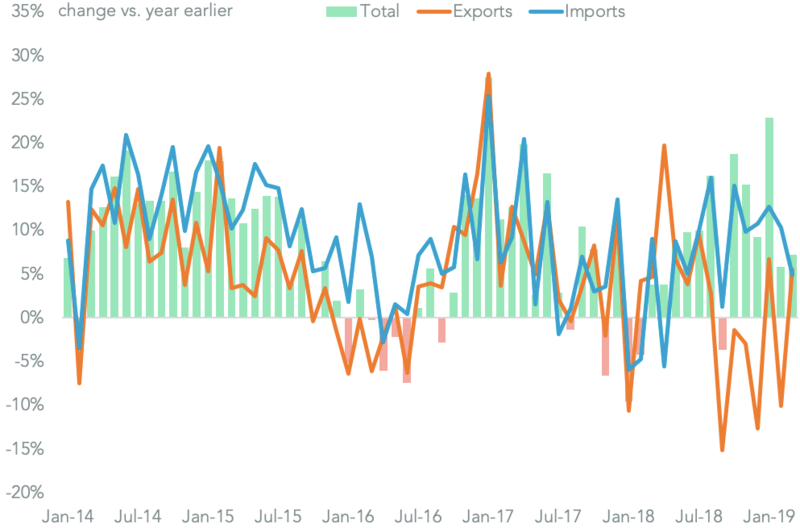 The downturn in exports from Ford can be seen in the decline in its shipments of both mid-sized (45.0% lower in May 31, worth $4.29 billion million in the past 12 months) and small engined vehicles (down 17.3%, or $779 millions), Panjiva data shows. 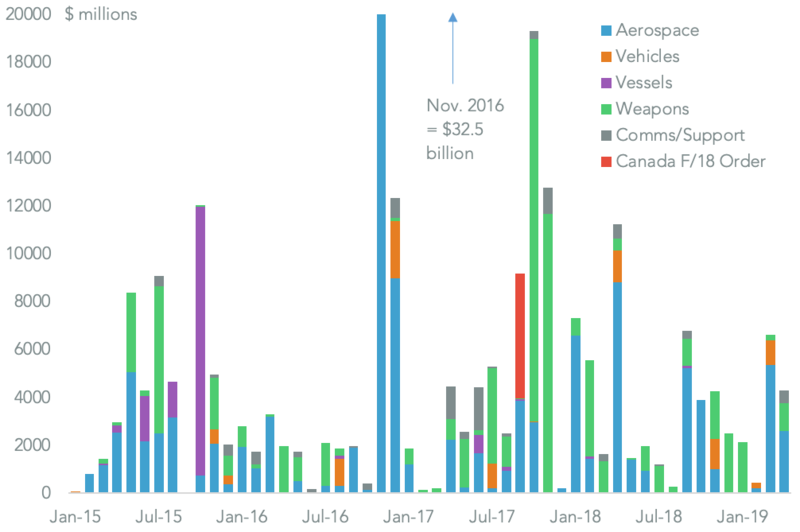 With 88.8% of exports going to the U.S. Ford may have bigger problems with the renegotiations of NAFTA and America’s section 232 review. Clarity on both risks may arrive by October. On NAFTA negotiations the incoming Mexican Economics Minister, Graciela Márquez has indicated a deal is possible by October via a “NAFTA-lite” that would only complete a limit set of reviews, the Financial Times reports. Initial results for the section 232 review could come by the time of the midterm elections. 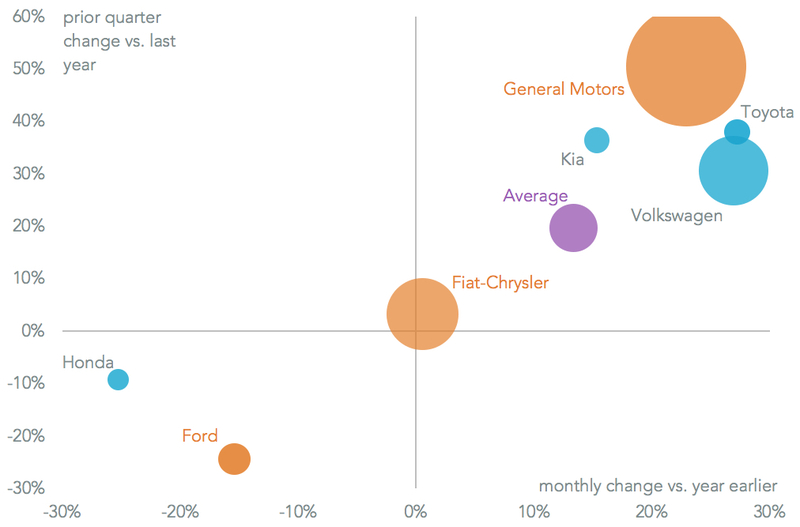 In terms of the major automakers Mazda and Volkswagen’s Mexican operations are least exposed to the U.S. market (40.6% and 56.3% of exports in the past 12 months respectively) while Chrysler (75.7%), General Motors (77.8%) and Nissan (85.9%) are the most exposed after Ford.